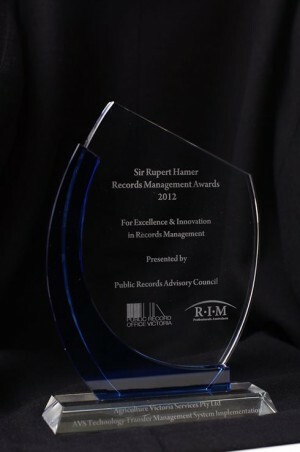 Agriculture Victoria Services, customers of Inteum since 2010, have won the Sir Rupert Hamer Award, for excellence in records management. After identifying the need for a contemporary technology transfer management system, the team at AVS was tasked with evaluating five commercial systems for consideration in replacing their current, outdated system that would provide for the management and development of their commercialization efforts. The strategic management of critical IP records into a single, relational database, significantly reducing licensing risk and providing enhanced reporting and analysis. Control over records management with multiple levels of security and access rights. Easy storage in an offsite, backed-up location, resulting in the lower risk of losing records and supporting material. Flexible access to the system from remote locations using the fully-featured web client and easy integration with third party systems. Easy disposal and archive of records. The integration of the Inteum solution “met or exceeded all expectations with regards to deficiencies in the old system particularly in reducing the risk of double licensing. It has also produced significant gains in productivity and capability across the range of technology transfer management and commercialisation activities within AVS. Perhaps most significantly, it has provided a new focus and framework around which to build and improve our business processes, including, but far wider than just records management,” says the AVS team. 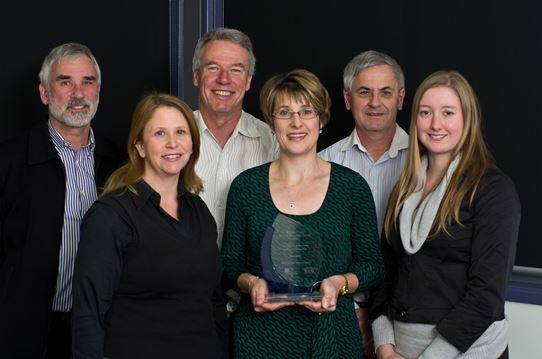 The “Inteum Team” at AVS. From left to right: Mark Jablonski, Melissa Jeal, Jim Parsons, Terina Ogden, Ian McCauley, Elisse Buchlak. Agriculture Victoria Services is located in Victoria, Australia. For more information, please visit their website. Learn more about the Inteum System here.